Mumbai Sep 16 (IANS) Actor Ssharad Malhotra who has joined the cast of the show "Musakaan" says he doesn t overthink about expectations from the audience but continues working to the "fullest of my potential". Popularity also means a lot of responsibilities. How does he cope with the expectations that his fans have from him? "The more people start loving you the higher the expectations grow. I am aware that people are looking forward to watch the post-leap drama on Musakaan but I am confident that they will enjoy it. "I give my best as an actor and help and assist everyone involved in the team as much as I can. Giving your best is the way to deal with expectations - is my mantra. Rest everything follows. I do not overthink about expectations but yes I keep in mind to continue working to the fullest of my potential. In fact it s great that people have high expectations from me as it keeps me moving and growing " Ssharad said in a statement. People are excited to see him play the male protagonist after the 14-year leap in "Musakaan". "I feel fortunate that people look up to my performances and shows and for Musakaan the expectations are higher. 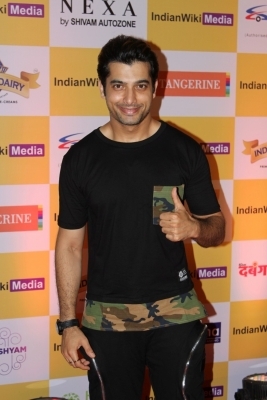 Not only because the show is all set to introduce new twists and turns after the 14-year leap but also because the pre-leap content has been extremely engaging " said Ssharad who as an actor looks forward to gripping storyline and his role. It is being said that he had turned down Bollywood offers for the show. "All I can say is that I had to say yes to Musakaan because of its appealing script and meaty role. I am only focusing on the show at the moment " he said.